I have been feverishly working outside in the yard but I put my shovel down and came inside so I could work on a few little projects. We are all about the homemade gifts in our family. 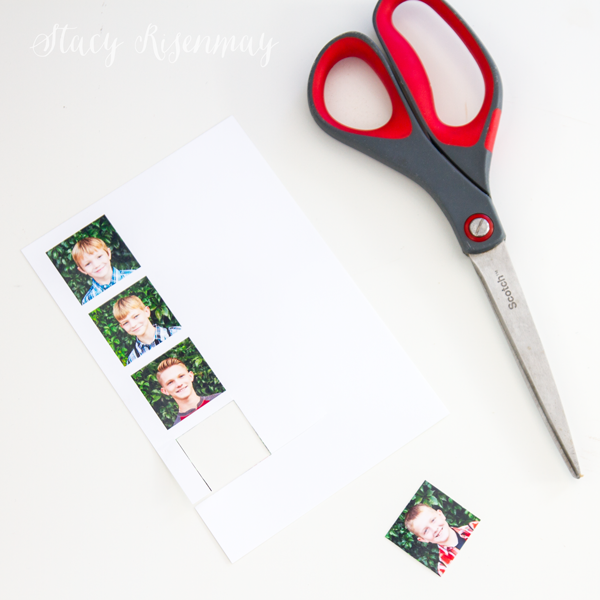 Since Father’s Day is coming up I thought it would be fun to share some DIY Father’s Day gifts. 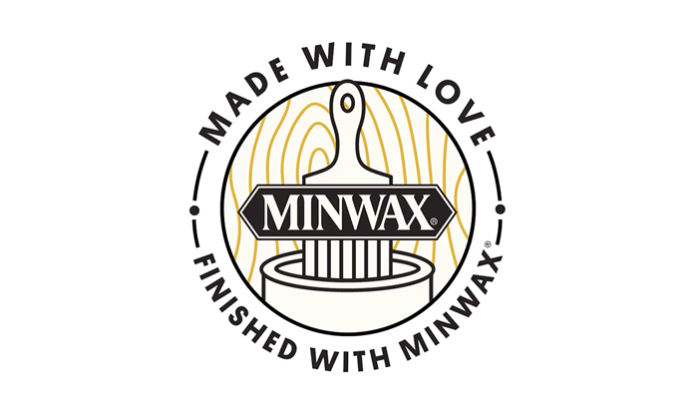 This month marks the start of Minwax’s second annual Made With Love campaign and I thought that these gift ideas fit perfectly within that theme. 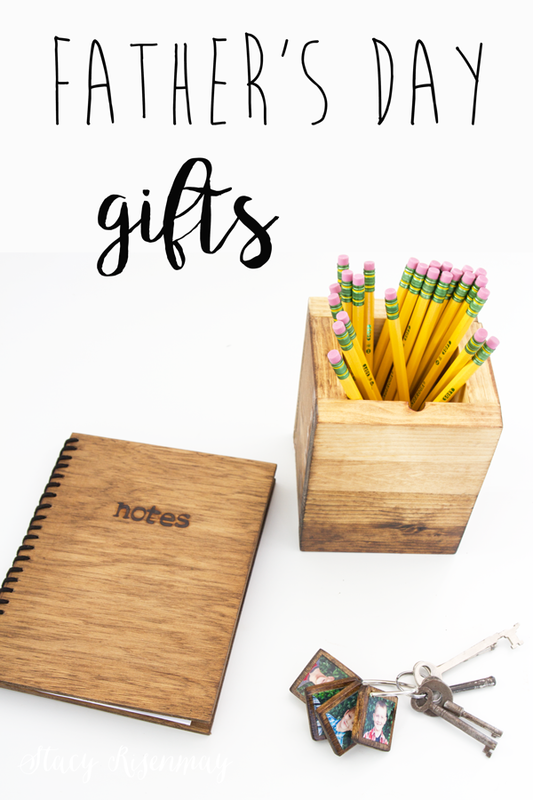 I made wood picture keychains, an ombre pencil holder, and a wood notebook! 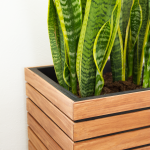 I had some lattice trim left over from my planter I built the other day so I used the miter saw to cut several squares. I sanded the corners smooth so the corners wouldn’t poke when in a pocket. Then I stained them and let them dry. While the square were drying, I printed some photos on photo paper. 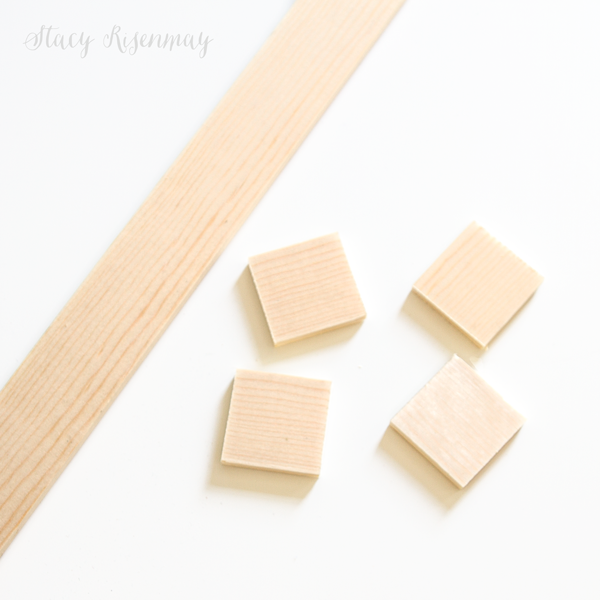 I made them 1 inch by 1 inch so they would fit on the wood squares and still have a border. I used a drop of polyurethane to hold the photo in place and then brushed on polyurethane over the whole top. After the top dried, I polyurethaned the back side as well. I used a small drill bit to drill a hole in the corner so it would fit on a key ring. *Tip: I used the kind of key ring that opens in called a book ring. It was much easier and I didn’t risk scratching the finish with the traditional rings. 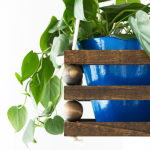 You can either build a simple wood box or buy one from a craft store. 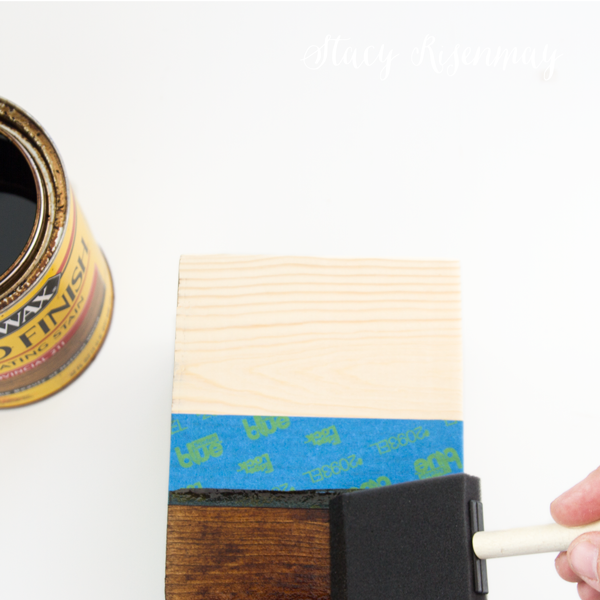 Tape it off in sections and stain one section at a time. I used the same stain color for all sections. I just applied more coats to make it darker and less coats to make it lighter. 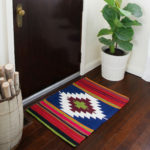 You could also use different stain colors. 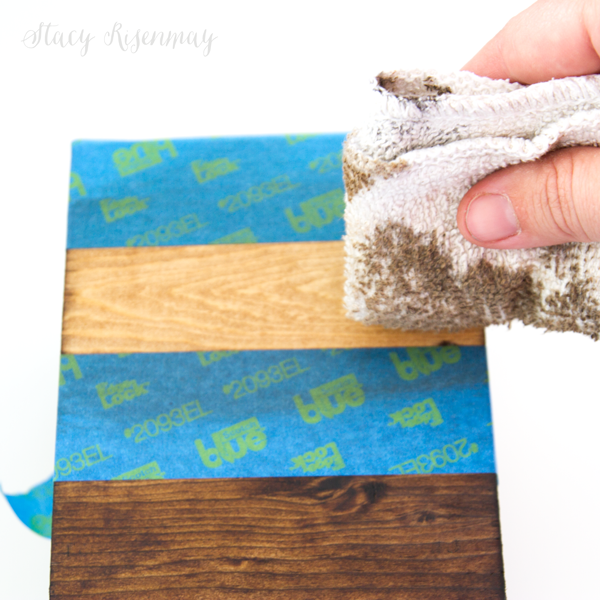 For the top section, I only used the residue from the rag to wipe a little stain on the wood. 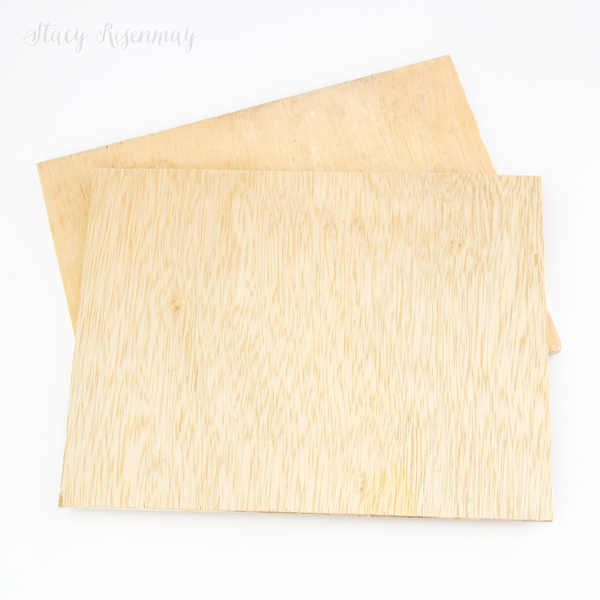 I cut two pieces of 1/8″ plywood to be 6 inches by 8 inches. I sanded them and stained them. 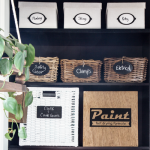 Once they were dry, I used a wood burning tool to write on it. You could also use paint. 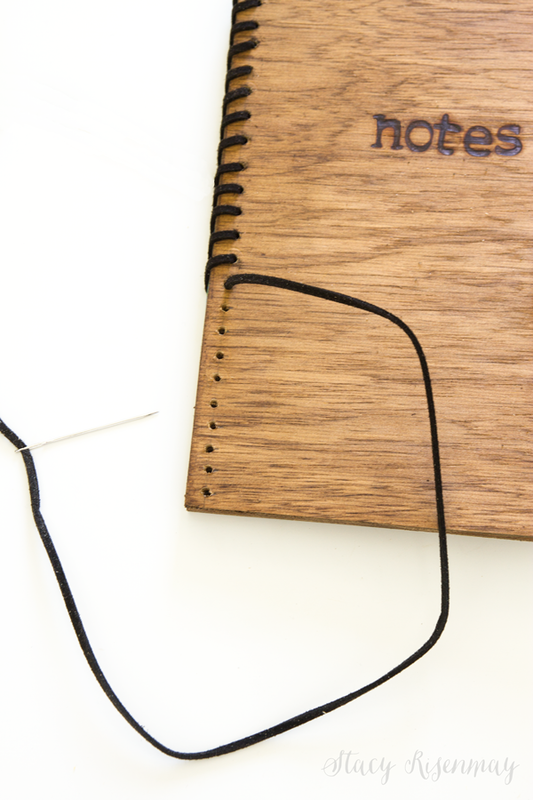 I marked with a pencil where the holes needed to be drilled along the edge of the notebook. I took the paper and added tape to them so they would stay together and so the drilling wouldn’t rip the paper. After I sandwiched it in between the wood covers, I clamped everything so they would stay in place. 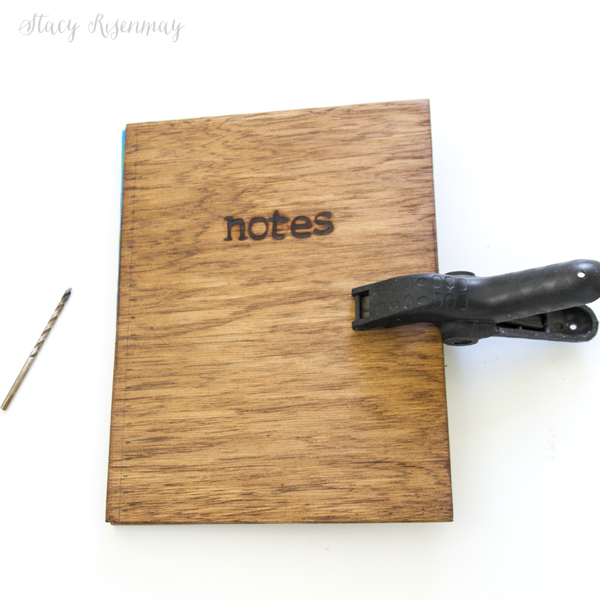 Once all the holes were drilled, I used faux leather to bind the notebook. Don’t pull it too tight. It will need some give to be able to open and close. 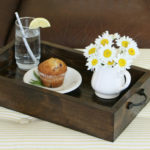 What are some other homemade gift ideas for dad? 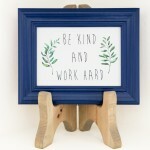 I would love to hear some of the things you have made for your fathers! 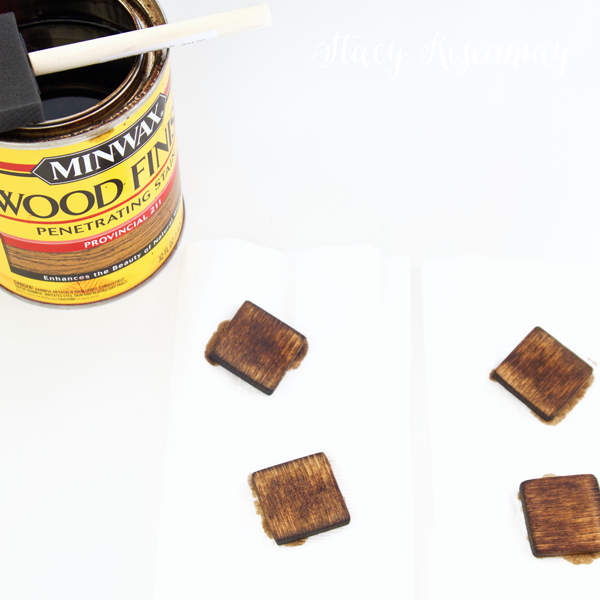 This post was sponsored by Minwax but all the ideas, projects, and opinions were all mine. These are great! 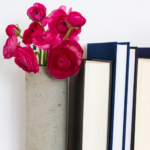 I especially love that ombre effect on the pencil cup – so cool! Pinned! These are all awesome ideas, but the notebook is my favorite!! Love the wood-burned cover! 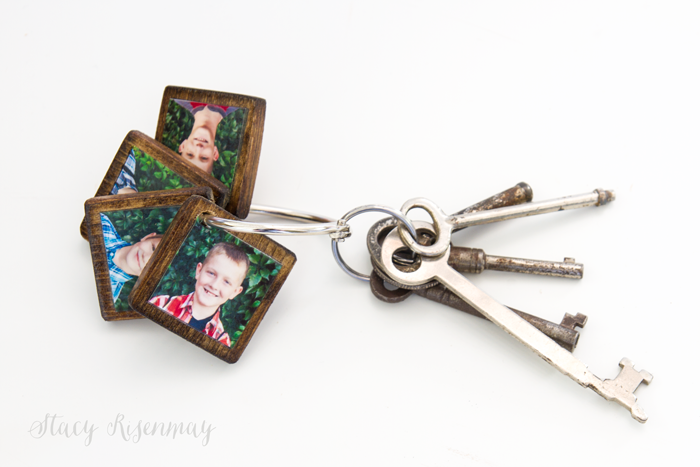 Oh, I love these ideas for Father’s Day! Very thoughtful, but beautiful at the same time! These are so clever and cute! Pinning now! 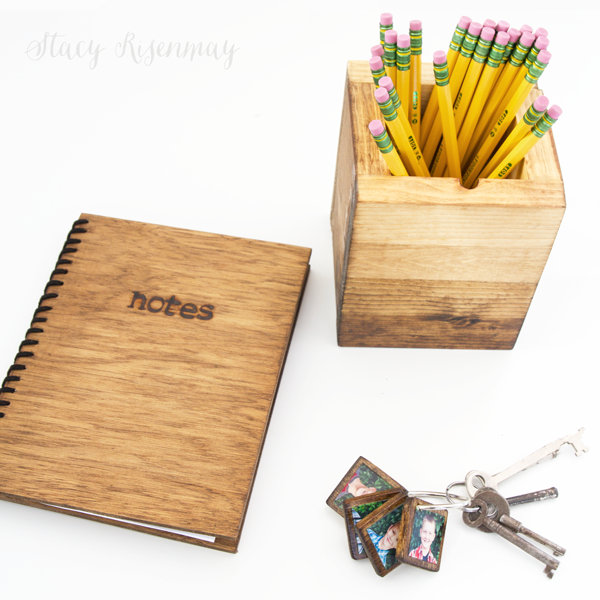 Oooh – that wood notebook is awesome!! All 3 projects are wonderful! Thanks for sharing them at Talk of the Town! You always do great work, and this is nothing short of. I love this idea. Very beautiful! I love it all. 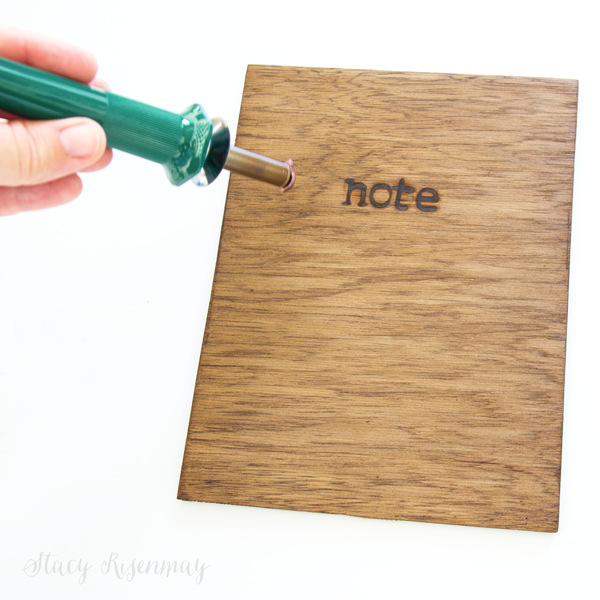 Oh my goodness… a wooden note book?! 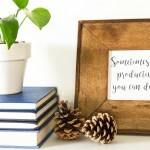 These projects are amazing! 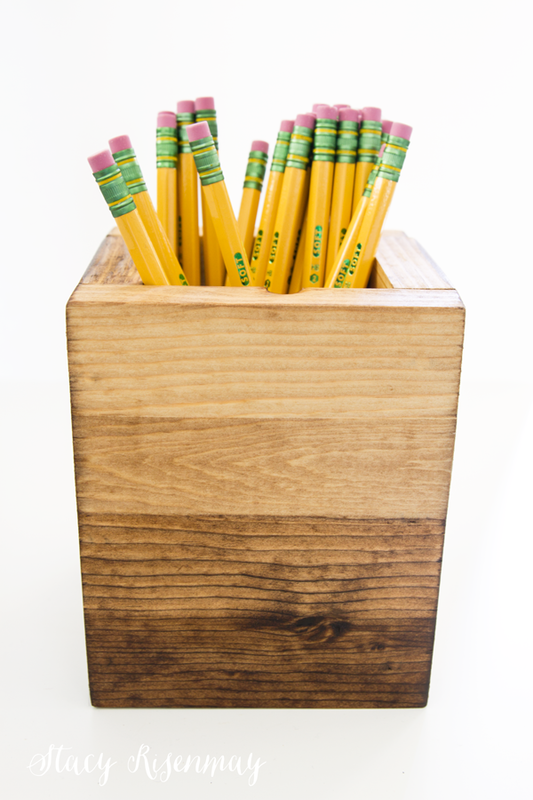 Love the gradient stain finish on the pencil holder too. Super unique! Very clear directions, thanks. First time see your creativity, over from FJI.